In August 2011, Bekele Gerba, an English teacher at Addis Ababa University and prominent politician, met with a delegation from Amnesty International to discuss the human rights situation in Ethiopia. Gerba, a vocal activist on behalf of his largely Muslim Oromo people, was deputy chairman of the opposition party Oromo Federalist Democratic Movement (OFDM) and a member of the executive committee of Medrek, the country’s main opposition coalition. 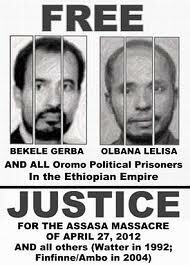 To the Ethiopian government, however, Gerba was a terrorist. Four days after the meeting, he was arrested. In November 2012 Gerba was convicted and imprisoned under Ethiopia’s 2009 Anti-Terrorism Proclamation for association with the banned Oromo Liberation Front (OLF), which the government has asserted is linked with al-Qaeda affiliated entities. According to organisations like Amnesty International and Human Rights Watch, however, Gerba was guilty of being Oromo and talking of the plight of his people. Shortly before his arrest, Gerba had described the challenges facing his community, telling Voice of America “Anyone who speaks the [Oromo] language and does not belong to the ruling party is a suspect and can be taken to prison any time.” Gerba and other incarcerated Oromo (Oromo rights groups estimate there are around 20,000 Oromo political prisoners in Ethiopia) continue to spark protests in Ethiopia and across the global Oromo diaspora. Readers might be forgiven for asking who the Oromo are and why they are important. It is, however, impossible to understand Ethiopia – which is Africa’s second most populous country, a key US ally in the war on terror, the recipient of billions of dollars in western aid, and one of the world’s fastest growing economies – without knowing something of the Oromo. With a population of around 30 million in Ethiopia and also extending into Kenya, the Oromo are Ethiopia’s largest ethnic group and their language is the fourth most spoken in Africa. Yet the Oromo are an invisible ethnicity in the eyes of the world. To comprehend the Oromo, their relationship with the Ethiopian central government, and how they have become involved in the war on terror, we must look at Oromo history. Prior to incorporation into the modern state of Ethiopia, the Oromo, split into various clans tracing descent to a common ancestor named Orma, had lived for centuries as independent people under their indigenous system of law, known as Gadaa, which was administered by councils of elders. In various places the Oromo also had their own kingdoms. Oromo areas contained prominent Islamic centers, such as the shrine of the Sufi Sheikh Hussein in the Bale region, one of the most important in the Horn of Africa. In the nineteenth century, the Amhara people, who considered themselves the successor to the ancient Christian kingdom of Aksum with roots going back 2,000 years, attempted to consolidate their rule over other ethnic groups including the Oromo, who were concentrated in the country’s south. The Amhara believed they were restoring a mythological “greater Ethiopia” that existed prior to Oromo invasion. The Amhara under emperors like Menelik II utilised modern weapons and European advisors against their opponents, who fought with spears. The result was devastation and death on an enormous scale. Between 1868 and 1900, half of all Oromo were killed, around 5 million people. The tactics employed were brutal. Following the defeat of the Oromo Arsi tribe of the Bale region, for example, Menelik’s general had the right hands of all strong men cut off and tied to their necks, and the breasts of the women sliced off and similarly worn. The Oromo rose in frequent rebellions, the largest of which broke out in Bale in the 1960s and resulted in the deaths of close to half a million people. Bale rebels would play an important role in forming the Oromo Liberation Front (OLF), which began a campaign that has continued to the present time. The overthrow of Emperor Haile Selassie and the establishment of the Marxist government known as the Derg in 1974 brought further suffering for the Oromo. In the late 1970s the government began resettling mass numbers of people from the north in the Oromo region. By the mid-1980s this programme had led to a famine that resulted in the deaths of over one million people, shocking the world. During a “villagisation” programme in the same period, around eight million Oromo were moved into what were effectively concentration camps run by the military. The fall of the Marxists following a guerilla campaign by the Oromo and other ethnic groups in 1991 brought relief, and there was hope that Ethiopia was entering an era of democracy and pluralism. Yet the nation’s new rulers, based in the Christian Tigray people, who also considered themselves ethnic successors to Aksum, continued the center’s policy toward the Oromo. From 1992 to 1994, for example, as many as 50,000 Oromo suspected of ties with the OLF were imprisoned in four concentration camps and 3,000 died. Additionally, it is estimated that between 1992 and 2001 50,000 Oromo were killed and 16,000 “disappeared,” a euphemism for secret killing. During the 1998-2000 war with Eritrea, Oromo were drafted to fight and died in large numbers, making up the majority of the more than 100,000 Ethiopian soldiers killed. The September 11 attacks brought increased American involvement in the Horn of Africa and an alliance with Ethiopia against “terrorism”. In late 2006 the US, which had begun training the Ethiopian army three years earlier, backed Ethiopia’s invasion of neighbouring Somalia. Ethiopia sought to firmly align its domestic opponents with the US war against al-Qaeda, with Ethiopia’s intelligence chief, in documents released by Wikileaks, telling the US ambassador in 2009 that the OLF is an accomplice of “international terrorist groups” and receives “support and assistance” from terrorist enemies of the US. 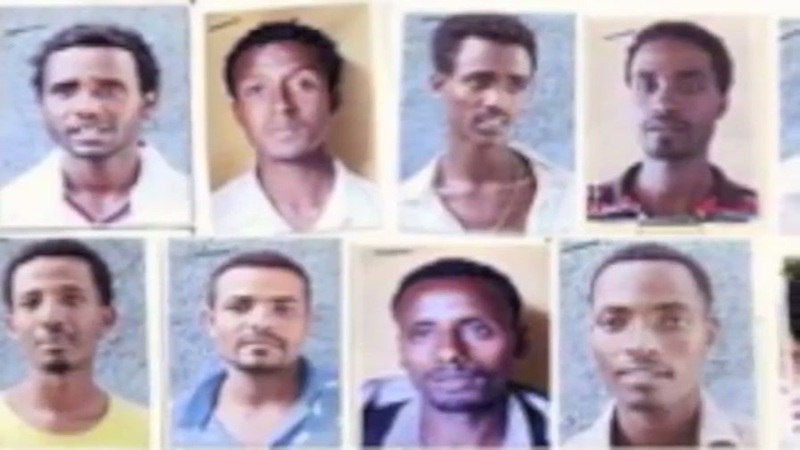 Ethiopia joined a regional “rendition” network, with US agents interrogating terror suspects in Ethiopian prisons. Ethiopia’s lack of democratic transparency was not a barrier to US aid, with the country receiving over $2bn in the two years following national elections in 2010 that saw the ruling party win 99.6 per cent of parliamentary seats. In August 2011 the BBC reported that the government was using billions of dollars of such foreign aid to systematically starve populations in the country’s south and employing tactics of “mass detentions…torture and extra-judicial killings.” Two months after the report aired, it was revealed that the US was flying drone missions from its base in Arba Minch in southern Ethiopia, just adjacent to the Oromia region. The Anti-Terrorism Proclamation was commonly invoked in 2011 as the government launched a crackdown on scores of politicians, journalists, bloggers, and others among the Oromo and other groups. It was also invoked in the arrests of prominent Muslim leaders the following year, who began to clash with the central government over government attempts to control the practice of Islam and appoint its own approved Muslim leaders. In April 2012 Ethiopian Prime Minister Meles Zenawi told parliament that al-Qaeda was operating in the Oromo Arsi and Bale provinces. Ten days later security forces in Arsi arrested an imam the government claimed was attempting to “instigate jihad,” resulting in the deaths of four people. The August 2012 appointment of Hailemariam Desalegn, a Christian of the southern Wolayta people, as Prime Minister following the death of Zenawi led to hopes of greater democracy and inclusion. Yet the government structure and mentality seems to have remained in place. In February 2013, for example, state television aired a documentary co-produced by the National Security Agency and Federal Police entitled Jihadawi Harekat or “jihadi movement” which accused the protesting Ethiopian Muslims of links with foreign terrorists. Given the seriousness of the problem, what is to be done? To help us understand the situation in Ethiopia, we met with His Imperial Highness Ermias Sahle Selassie, the grandson of Emperor Haile Selassie, in Washington, D.C. last year. A sophisticated and thoughtful man, he told us that the Ethiopian government officially sanctions his title and allows him to return when he chooses. Prince Ermias, who is of Amhara and Oromo descent, lamented that the once “harmonious relations” between Christian Ethiopians and Muslim tribes are “breaking down”. In order to improve the situation, he explained, each side must view the other through its own culture with respect, and involve tribal elders who can help make peace. On the subject of the war on terror in the region, Prince Ermias said that “the military is not a solution, there has to be political accommodation”. His Imperial Highness’ sensible and practical steps give us an idea how to move forward. In order to bring stability and harmony to the nation, the central government must extend full civil and human rights, economic development, democratic representation, and freedom of language and expression to the Oromo as well as all Ethiopians. 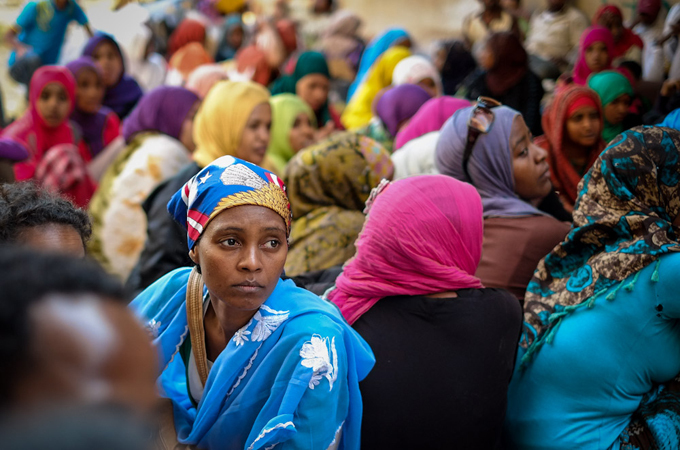 A true modern, democratic, federal system would allow Ethiopia’s various ethnicities and regions to shape their own destiny while remaining part of the Ethiopian family, helping to alleviate the conditions that have caused some to turn to violence. The Oromo and other long-suffering communities largely do not want independence but to be treated as citizens of the state with equal rights. Yet this future can only be achieved if the Ethiopian centre ceases portraying the Oromo and others who are demanding rights and freedoms as terrorists. Supporters of Ethiopia like the US need to understand what is happening and take proactive steps to alter the way the war on terrorism is being conceived and waged. Unless the situation changes, the Oromo, like so many other Muslim tribal societies across the world, are in danger of becoming a casualty of this global campaign. This article is based on research for Akbar Ahmed’s book The Thistle and the Drone: How America’s War on Terror Became a War on Tribal Islam, published by Brookings Institution Press. Ambassador Akbar Ahmed is the Ibn Khaldun Chair of Islamic Studies at American University in Washington, DC and the former Pakistani High Commissioner to the United Kingdom. Frankie Martin, an Ibn Khaldun Chair Research Fellow at American University’s School of International Service, conducted research for The Thistle and the Drone: How America’s War on Terror Became a Global War On Tribal Islam by Ambassador Akbar Ahmed and is currently pursuing postgraduate studies at the University of Cambridge. At any rate, I just remember that those were our favorite classes. has an adverse, ripple effect upon others, said All. feelings of tiredness. How to Get Whatever You Want Out of Life 1978.